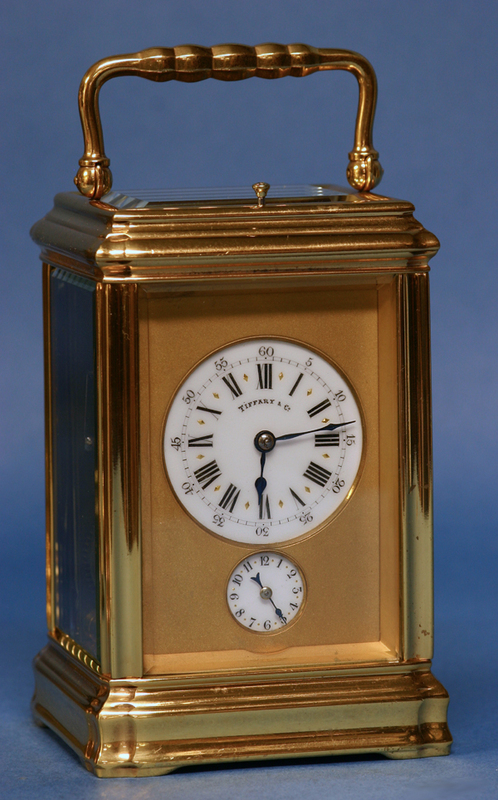 c.1890 Small French Gorge Cased Minute Repeating Carriage Clock. 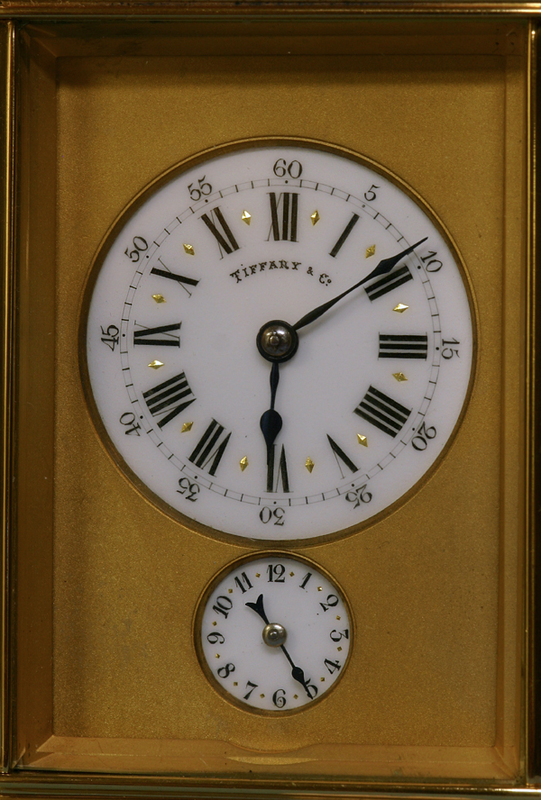 The white porcelain dials are framed by a gilt-bronze mask, have well-lettered Roman numerals for the hours, Arabic numbers for the five-minute marks and the alarm hours, gilt half-hour marks, steel-cut hands and the time dial is signed ‘Tiffany & Co.’. 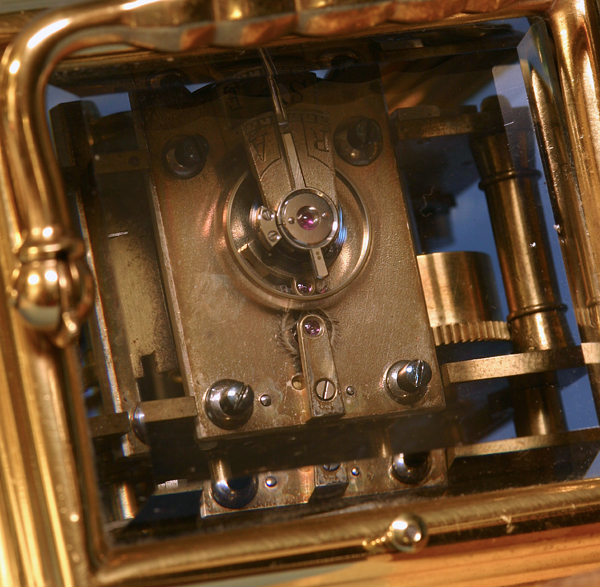 The time and strike eight-day movement has the original lever balance platform, is wound and set off the backplate, strikes on double gongs and has the strike lever out the base. 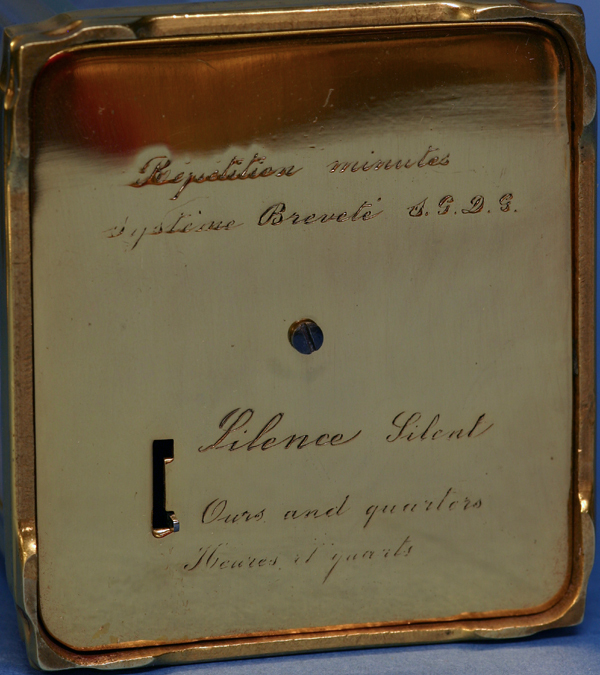 The bottom plate is engraved, ‘Repetition minutes systeme brevete sgdg’ and has the striking indications in both French and English. 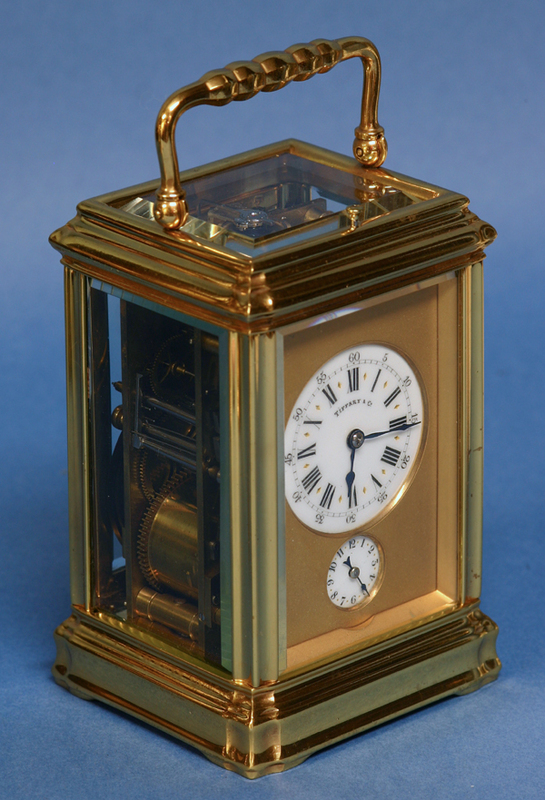 During normal operation the clock will announce the quarters, but not the hours. Upon repeat it will count off the hours, quarters and minutes. 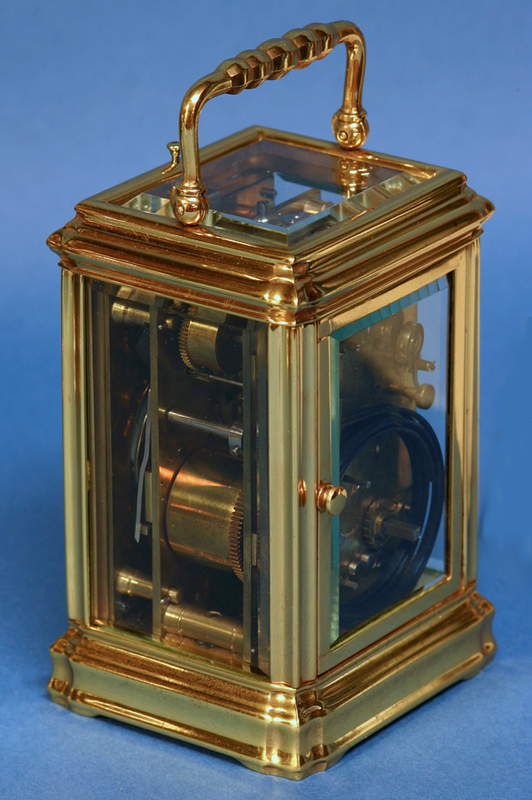 Minute repeating carriage clocks are extremely rare as the mechanisms were extremely difficult to produce.